My birthday month is here! If there is anything I’m most excited about this month aside from turning a year older (not particularly thrilled about that lol) is that I’m finally traveling again! I decided to celebrate my birthday in a different country. I booked a promo flight early this year to Singapore without much thought. Most of you know that I am currently in a long distance relationship. My boyfriend, Martin was previously based in Germany. 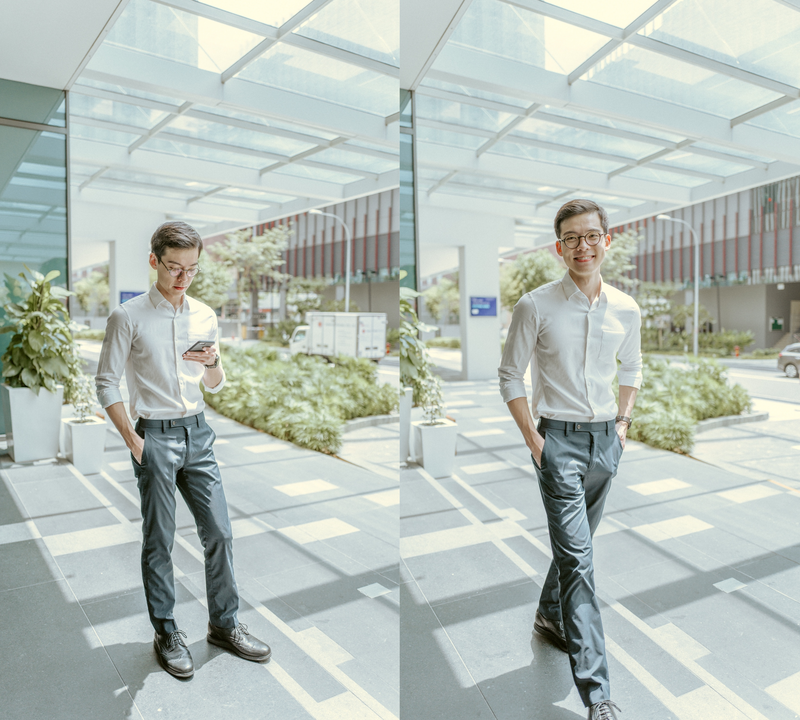 Now, he has moved and is currently taking up medicine in Singapore. As cheesy as it may sound, I really did just want to spend my birthday with him since the past years we haven’t had the chance to celebrate it together. 🙂 Turning a year older I also felt that I needed to cross some things on my bucket list such as flying solo! This was my first flight alone and my first time in Singapore. Just a back story, Martin and I were supposed to visit last year but we found out that his passport was a shy day away from the six months expiry date when we were about to get our boarding passes on the day of our flight. It was pretty heart-breaking but everything happens for a reason and it turned out for the best in hindsight. I sure did not want to experience any more unfortunate mishap on this trip this time (and especially during my birthday week!) so I made sure to select my accommodation wisely. 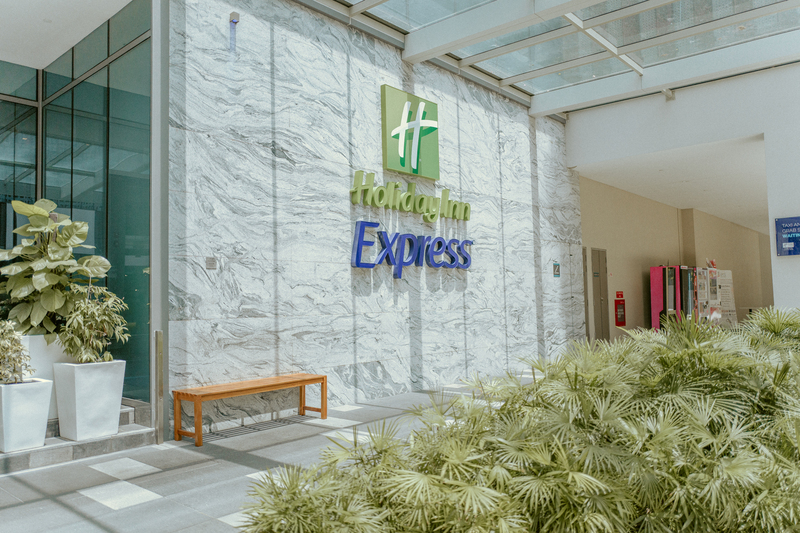 I decided to book my stay at Holiday Inn Express in Katong, East Coast. 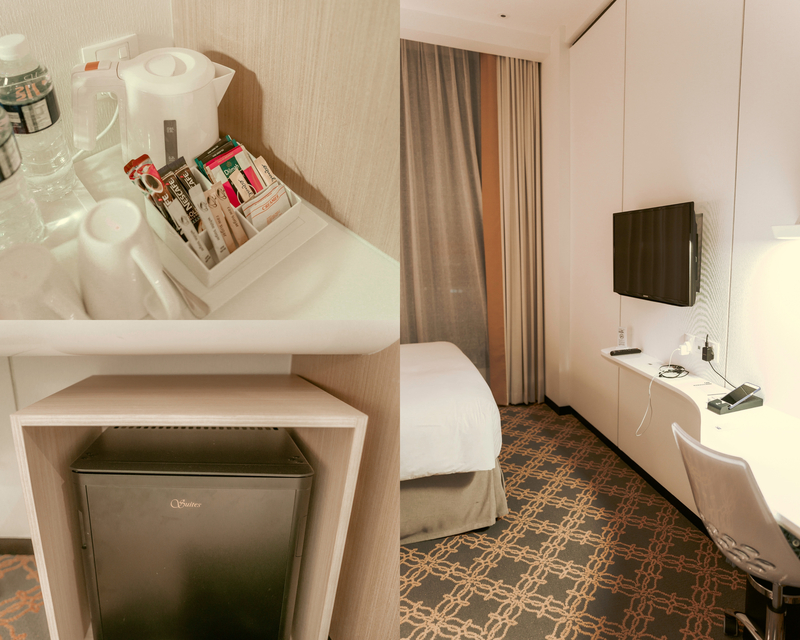 Being a popular hotel brand, I felt that I could trust them with my first time in Singapore! 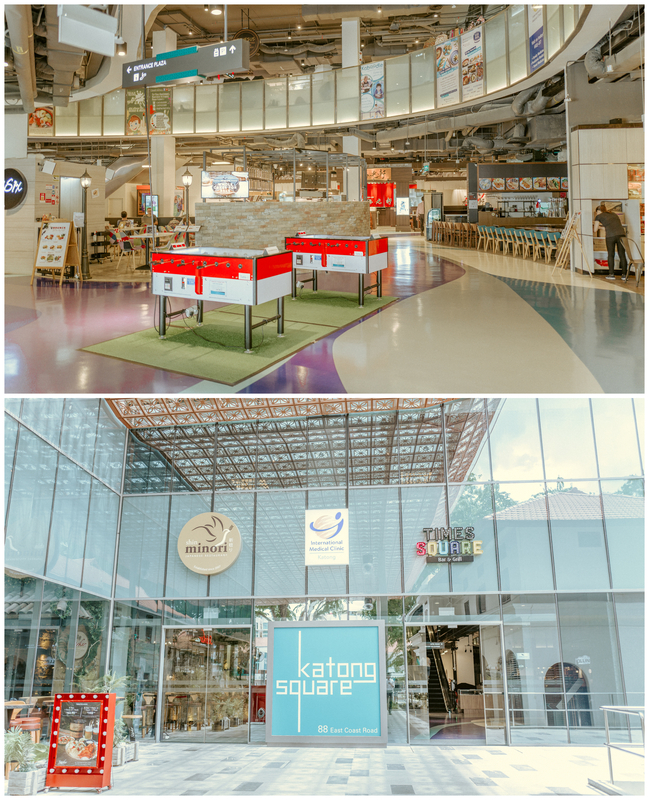 Situated in a very charming district, Katong is Singapore’s first heritage tower. Despite not being in the main city, it only took me 15 minutes away from Changi airport. It is also about 15 minutes away from the main city via car and about 3-5 minutes away from the nearest bus stop. Singapore’s traffic situation is nothing compared to Manila and commuting is so convenient and efficieint, so even if you’re not staying in the city it won’t be a problem! Holiday Inn Express is a no-frills kind of hotel. 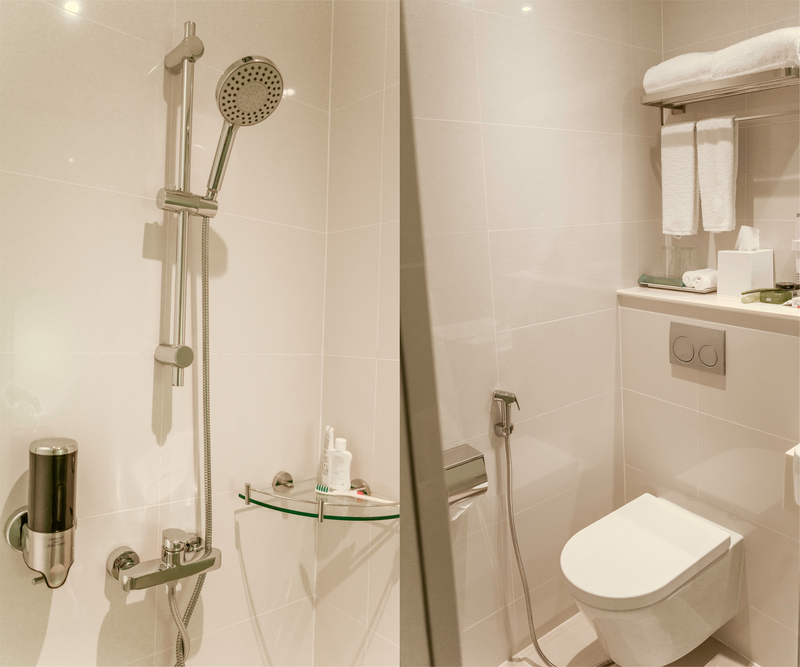 It’s perfect for budget travellers who just want a nice and clean place with the basic commodities. 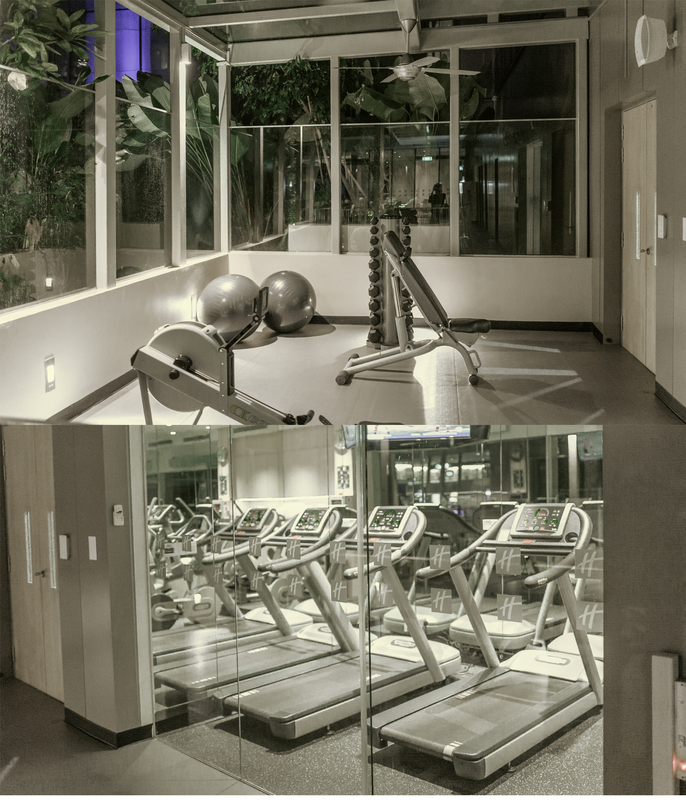 Although, it’s not your average budget hotel – it has a 24/7 gym, free breakfast buffet, free Wi-Fi, and impressive modern interiors. 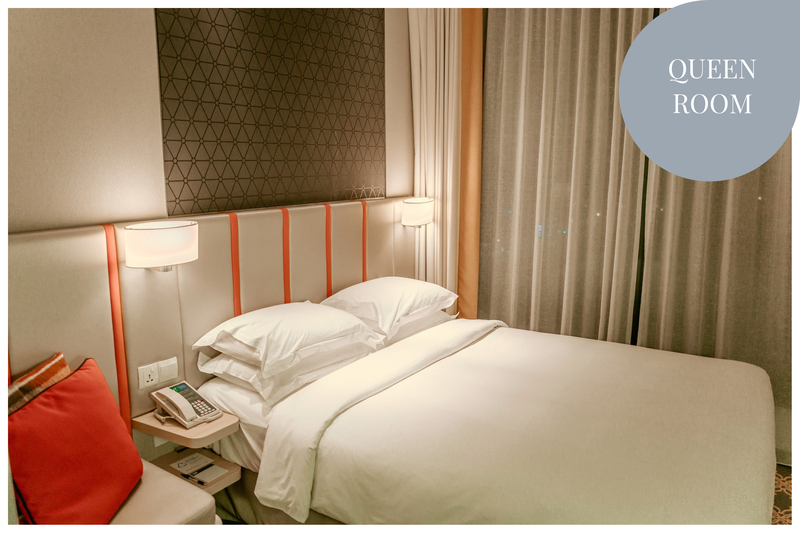 I booked a standard Queen room (133 SGD or Php 5300/night), which was good for 2 people max. Check-in time is 3PM and check-out time is 12nn. Martin and I arrived past midnight but did not have to worry since the concierge was open 24/7. Upon entering my hotel room, I was pleasantly surprised. 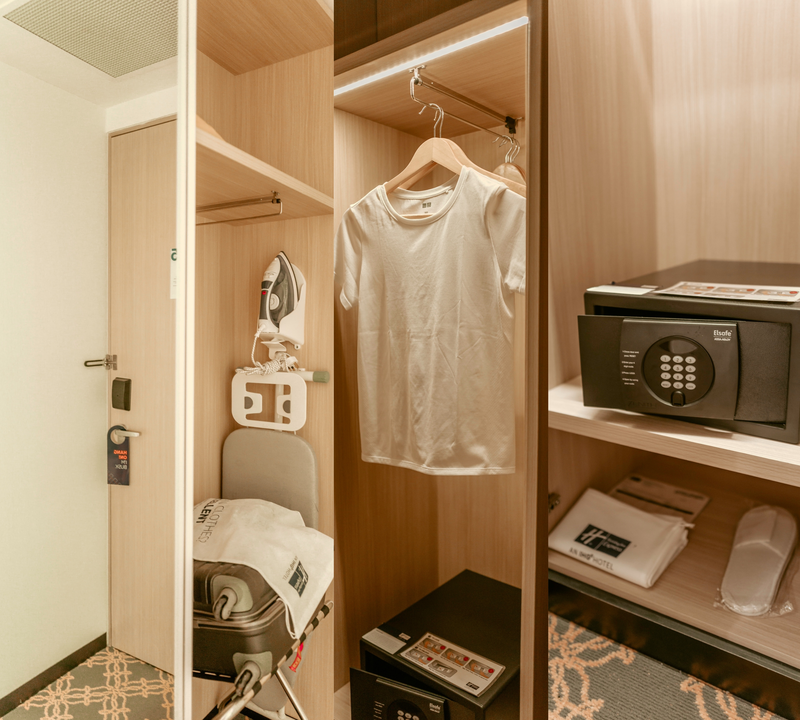 It had everything I needed and more – a spacious bathroom with rain shower, water heater, and blowdryer, work desk, mini refrigerator and complimentary coffee and tea, closet with a safe for valuables, a full size mirror (so important! ), iron, and a comfy queen sized bed. It was definitely more than I expected! I was so impressed with the how the space was maximized and organized. In spite of having all these essentials, I didn’t feel like the room was overly crowded. In fact, it feels even bigger than the actual size. 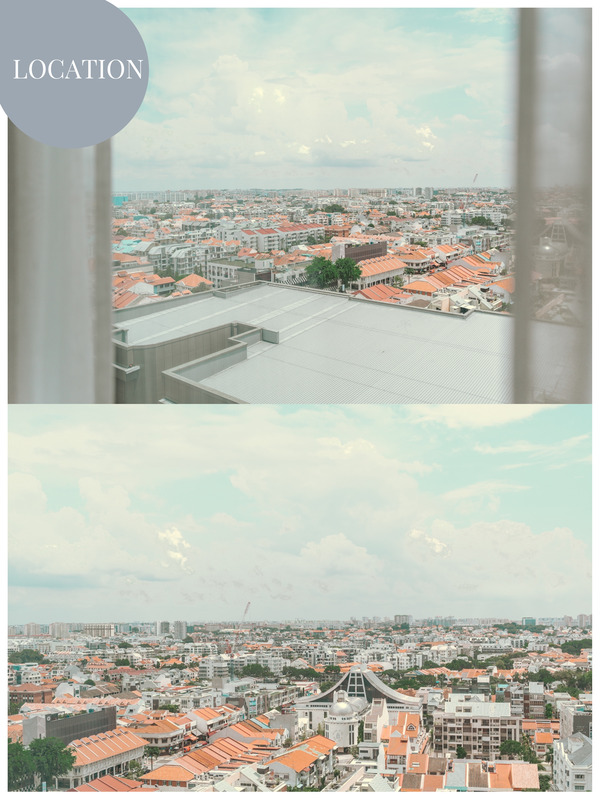 Not to mention, the room also had a beautiful view of the city from a floor to ceiling glass window. The accommodation came with complimentary breakfast. I’m a breakfast person and can’t survive the day without having my morning cup. Whether you prefer rice, bread, yogurt, or cereal as your breakfast staple, they’ve got it on the table. 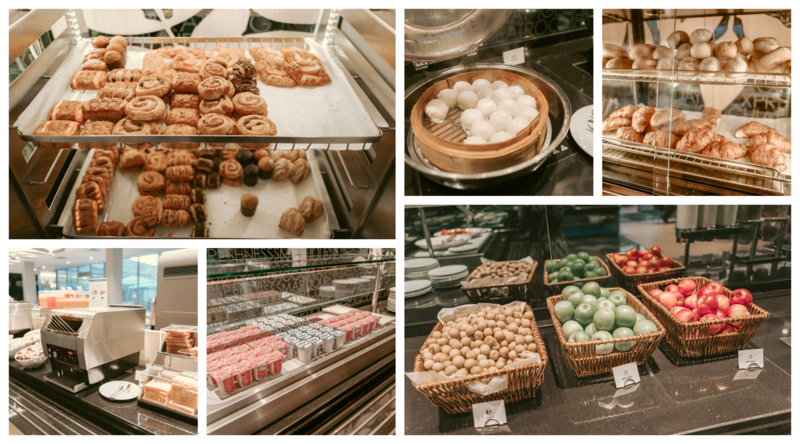 I enjoyed a wide assortment of western and asian breakfast choices, as well as fruits and drinks. Everything was freshly made and good! The seating capacity is more than enough and very comfortable. We had a choice to enjoy our breakfast indoors or outside. 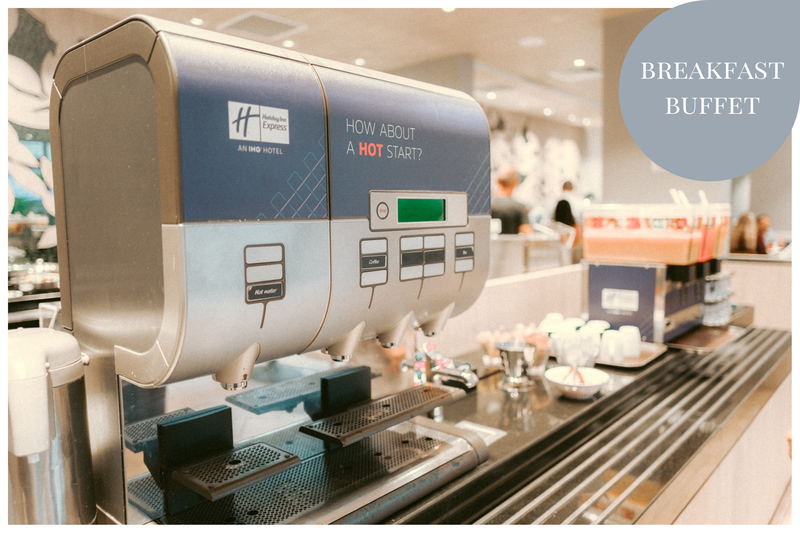 Overall Review: Will I book Holiday Inn Express again? 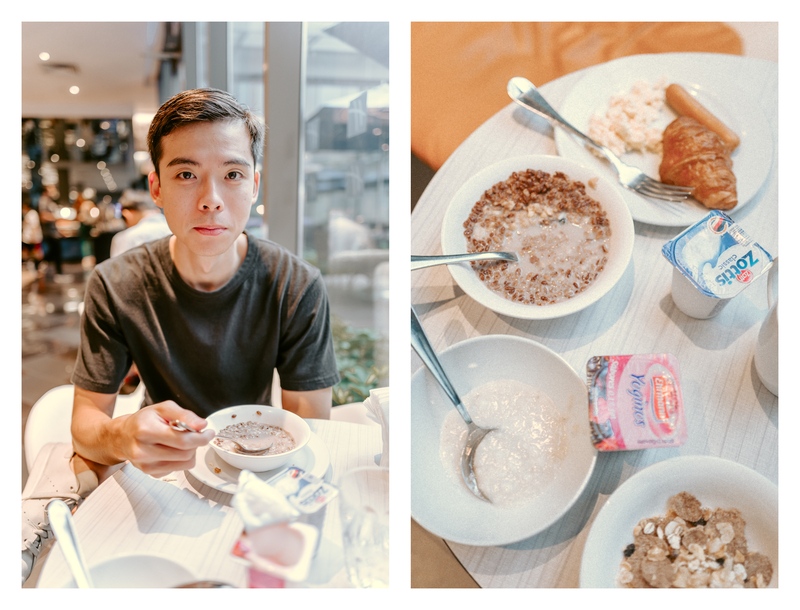 I had such a pleasant stay at Holiday Inn Express Katong. This hotel certainly exceeded my expectations. The amenities, staff, and service were impressive. Everything was clean and organized. I honestly have nothing bad to say! 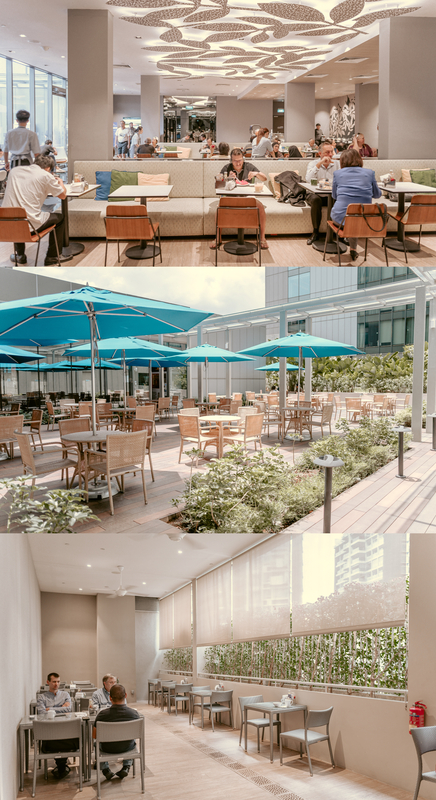 I highly recommend it for first-timers in Singapore like myself or who just have a short-term stay there for business or vacation. 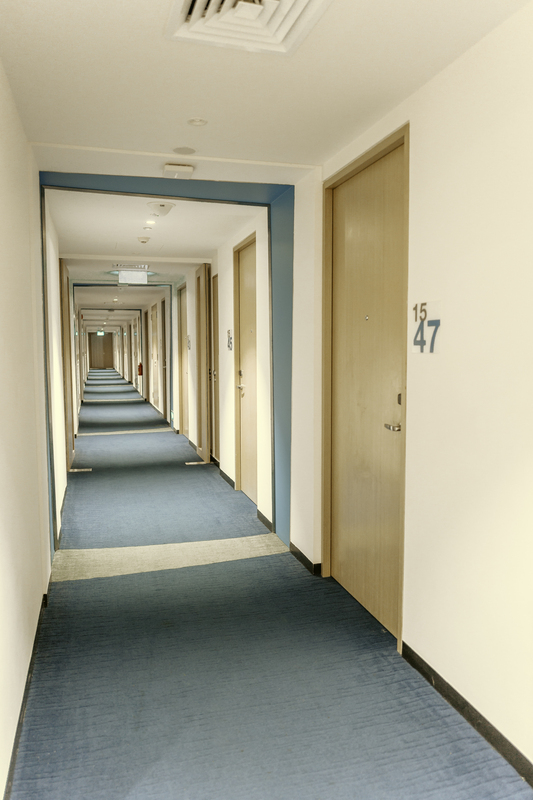 This is the perfect budget hotel that doesn’t compromise quality and comfort. Definitely a big YES for me! See you again, Holiday Inn Express Katong Singapore! For room reservations and rates, check out their website or email at resvn.sinka@ihg.com.